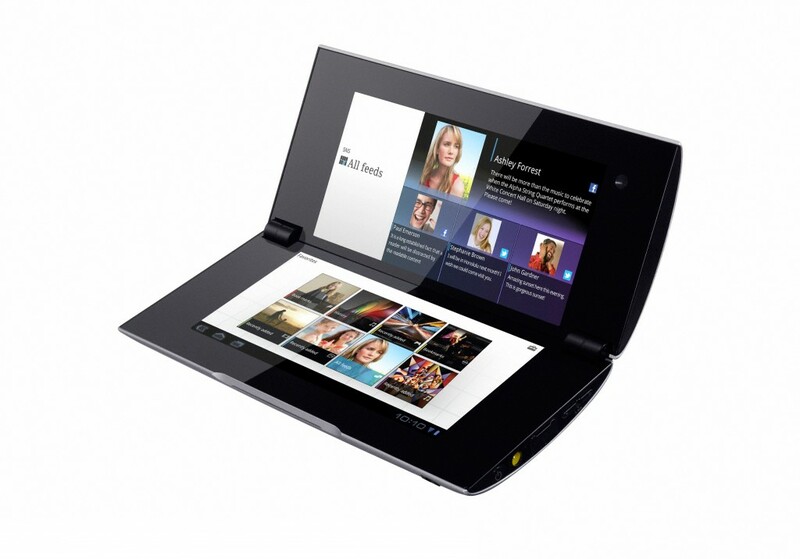 The Sony Tablet p, is a humble tablet, is dual screen and runs on Google Android 3.2 Gingerbread. Its portability is easy, and is ideal for web browsing, downloading applications and can also appeal to gamers with its catalogue of games in its play station one. The design of this tablet is very clamshell and smart. Just like with Nintendo 3DS this tablet can be folded at the middle. This ensures that its dual screens are protected when one is travelling. For those who just throw their tablets into their bags without taking much caution, then this is an ideal tablet for them. This is because by folding, the tablets screen is protected from getting damaged. But still you will need to be a bit careful with this tablet. This is because its silver finish can get scratched very easily. Sharp objects are enemies of this tablet. It fits well in a handbag, and can also get into a jeans pocket. Its 375g weight is not heavy and when using the device one feels good. The tablet is also very solid. Only a little flex is noticed, when it is exterior is pushed. Its operating system is superb and does a sterling performance. As is expected with a product from Sony, you get a smooth experience when you skim through this tablet’s menu. The desktop of this laptop is split between its two screens, both being touch sensitive. At the start, you feel like the bezel separating these two screens is irritating , but after a short time you will barely notice, even when it comes to web browsing. The sharp resolution of this tablet is 1024*480 and it makes the dual screens of this tablet to be supremely crisp. Both movies and photos look fantastic with rendering that is realistic. Unfortunately, it is only in the top screen that you can view movies, because media controls is what the bottom screen is used for. This is sensible because there is no person who would like to watch movies with a black line that is thick, cutting across at the centre. But the upper display, which is compact, isn’t the most ideal way when it comes to watching a Hollywood blockbuster. This is because of the little screen space and the films appearing a bit crashed because the aspect ratio is narrow. The screen brightness is quite impressive and the tablet can be used even when the sunshine is bright, inspite of the reflective surface. It has viewing angles that are excellent. The viewing angles of this tablet ranks at the top. Among the Tablet p highlights is its ability when it comes to downloading and playing of games. There are restrictions in that the only buttons you can use are the virtual onscreen. During times of fast-paced moments, it can be a bit awkward when using these buttons. One major gripe is the shoulder button, which are hard to reach. The battery also drains quickly when one is watching video or playing games. On average it goes for three and a half hours. With a SIM card that is valid, you can do web browsing using 3G or Wi-Fi. Browsing of the web is smooth and with a finger pinch one can zoom out or in. AS is standard when it comes to Honeycomb tablets, there is support of flash video in-browser. If you keep having the screens of your tablets scratched, then you should go for this one. This is because of its folding, which is unique, thus protecting the screens. I am Susan Hannan from Exams Key; it gives 100% NS0-154 exam exams. Let’s take benefit of C_TBW45_70 exam Exams material efficiently and get guaranteed success. Check out free demo of all certifications Exam.